In uttar pradesh Prime Minister narendramodi and Uttar Pradesh Chief Minister yogi adityanath and Governor Ram Naik serve food to children in Vrindavan. PM narendramodi personally serving lunch & interacting with children at the Akshaya Patra Foundation programme in Vrindavan today. 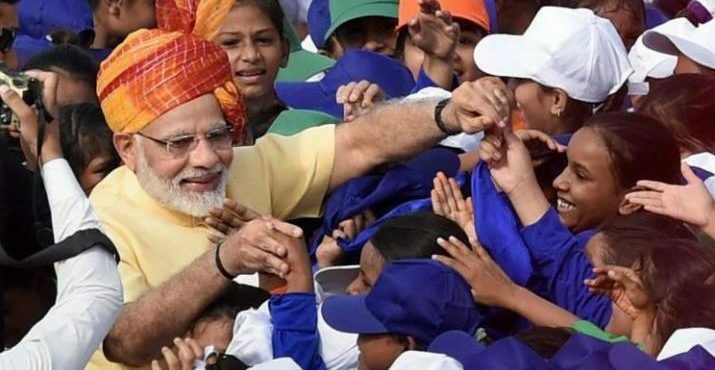 Modi distributes 300 crore-plates of food to poor school children at Vrindavan Chokodha Mandir.